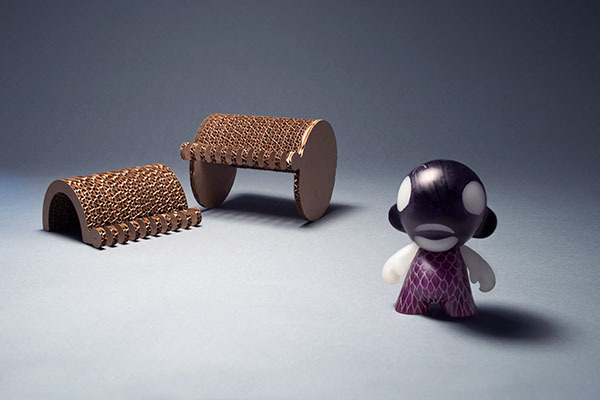 A (hypothetical) collaboration between Frank Gehry and Kidrobot. This limited edition vinyl toy commemorates early Frank Gehry—his 1972 Easy Edges series of cardboard furniture and his fish lamps. 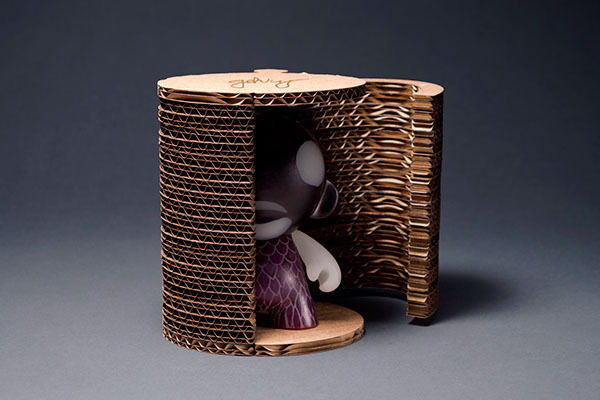 Gehry is an advocate of sustainable design, and it was important that the package be as efficient and environmentally friendly as possible, even if the vinyl composition of kidrobot toys is non-negotiable. 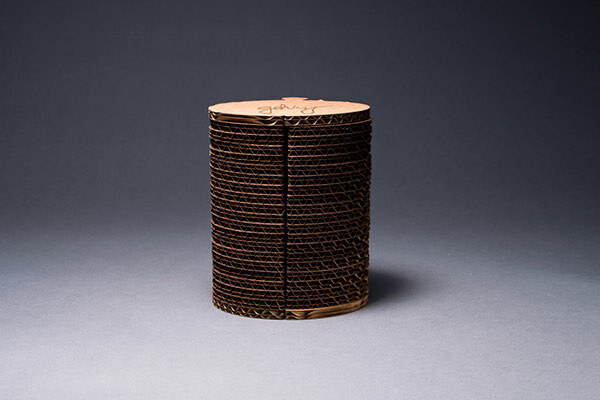 Both halves of the package are made of corrugated cardboard layers laminated with a bio-adhesive. Mere friction holds both halves together at the hinge. You could chuck it into a recycling bin as is. 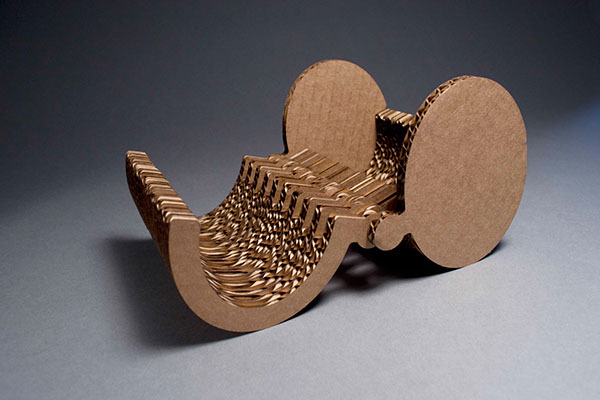 The cardboard layers from both halves can be fabricated from the same template, with pieces used for one half being oriented upside down from the pieces meant for the other half. 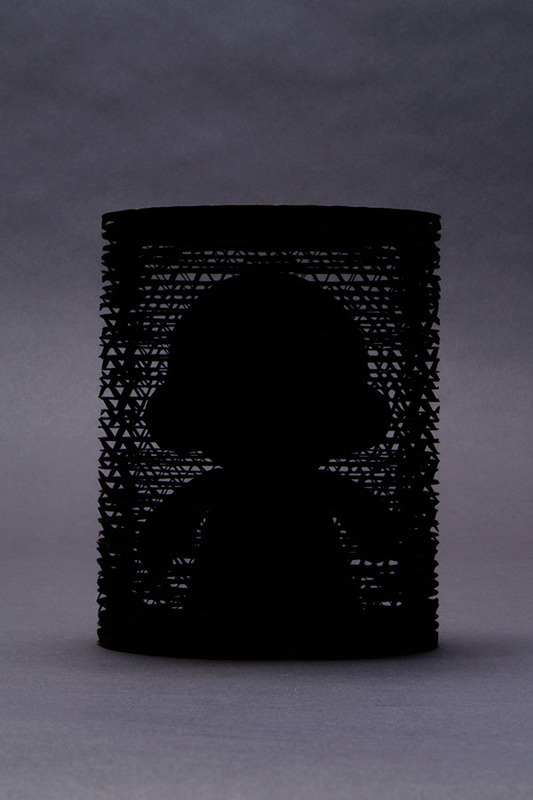 The toy is made out of glow-in-the-dark vinyl so that it emits light the way a lamp would. 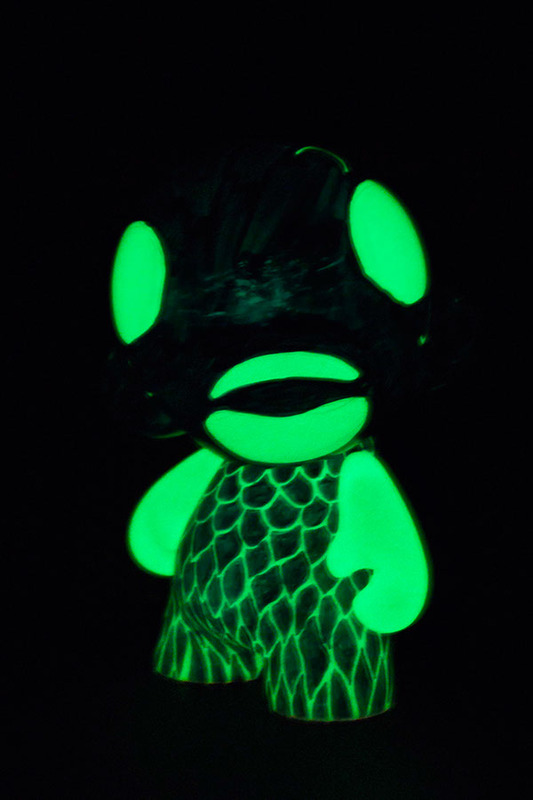 The light glows through the graphic pattern of the fish lamp on the surface of the toy.